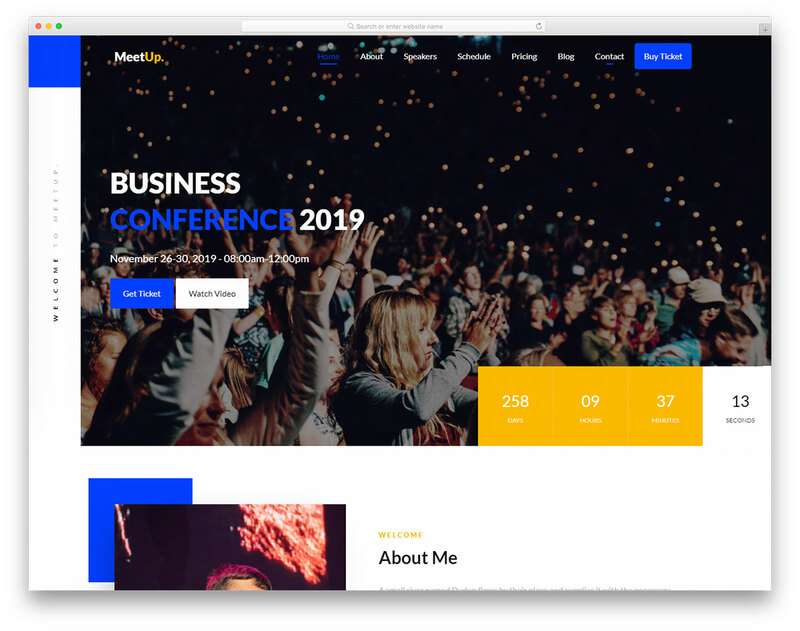 A huge list of the best free business website templates built to serve any company out there from construction to business consulting and financial services. All templates are mobile friendly and feature both one-page and multi-page setups. 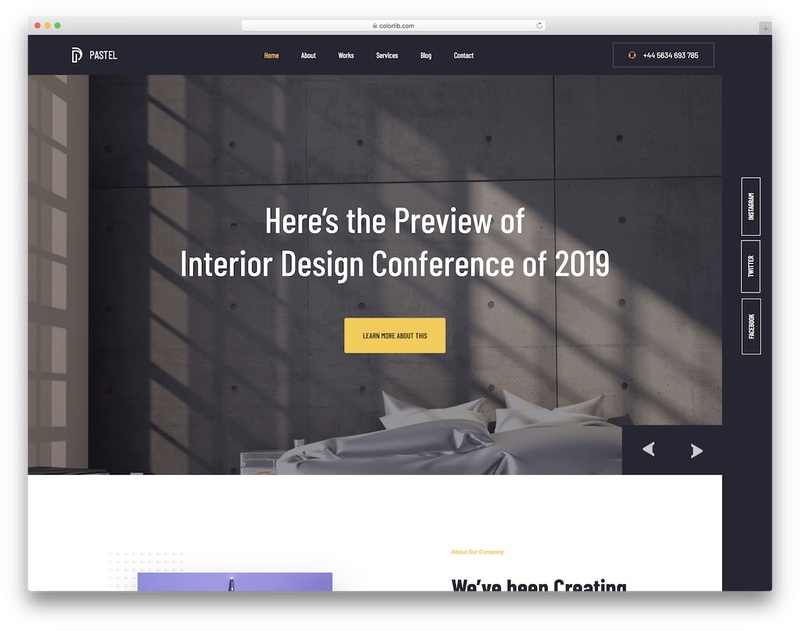 Whether you are bringing into being a fresh project or redesigning your current website, these templates have you covered. They are powerful enough to meet any firm and organization owner’s needs and requirements. On top of that, they are undemanding to alter and enrich with your individual touches. Launch your business on the right track and see great results soon after. Our remarkable and free website templates for businesses are here to help. Your pages will look excellent on all devices and perform flawlessly for a top-notch experience and happy customers. 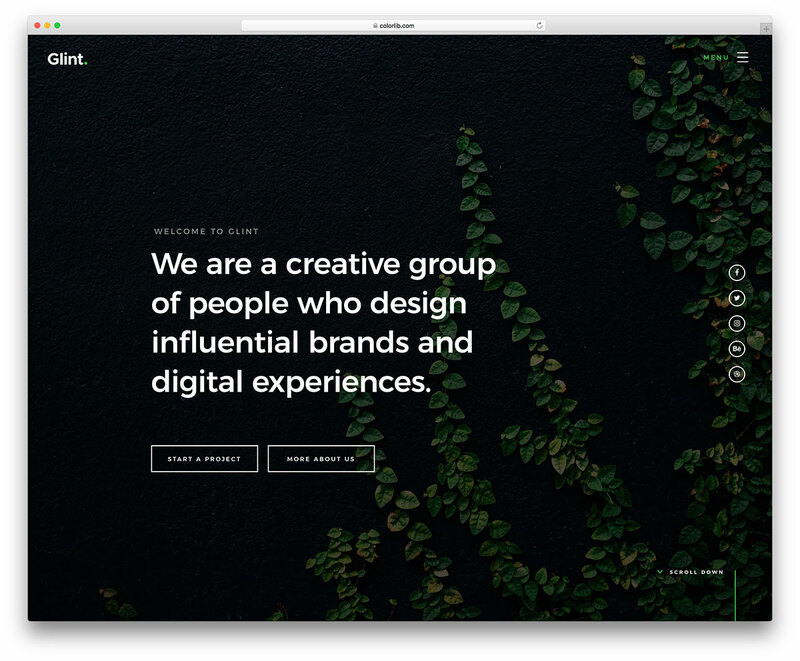 Glint is a modern and stylish digital agency HTML template. Designed for creative designers, agencies freelancers, photographer or any creative profession. 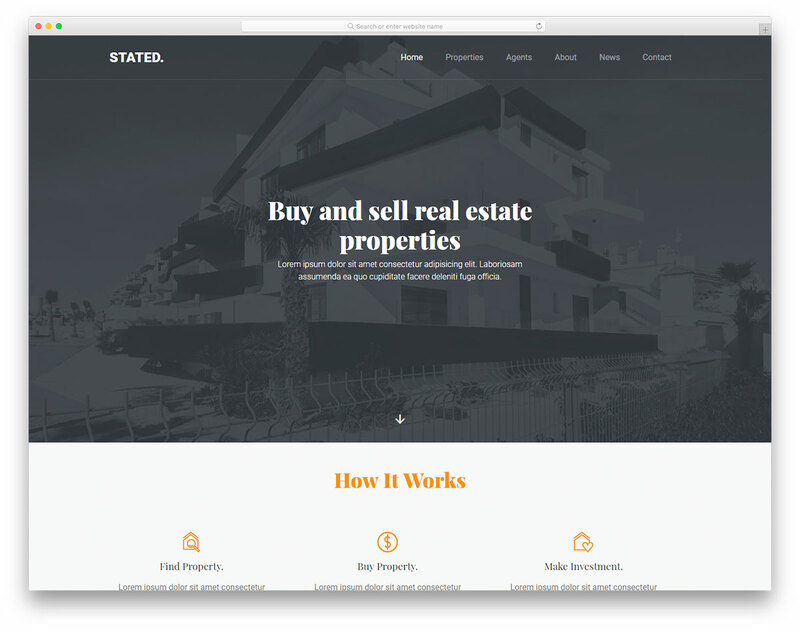 Stated is a striking, modern and professional free one-page real estate website template. If you are running an agency or you are a realtor yourself, sort out your online presence with Stated and be crème de la crème. With the magnificent free interior design and furniture website template, Pastel, you can market your works and services like a champ. Enjoy its features which you can take to your advantage and shine online. 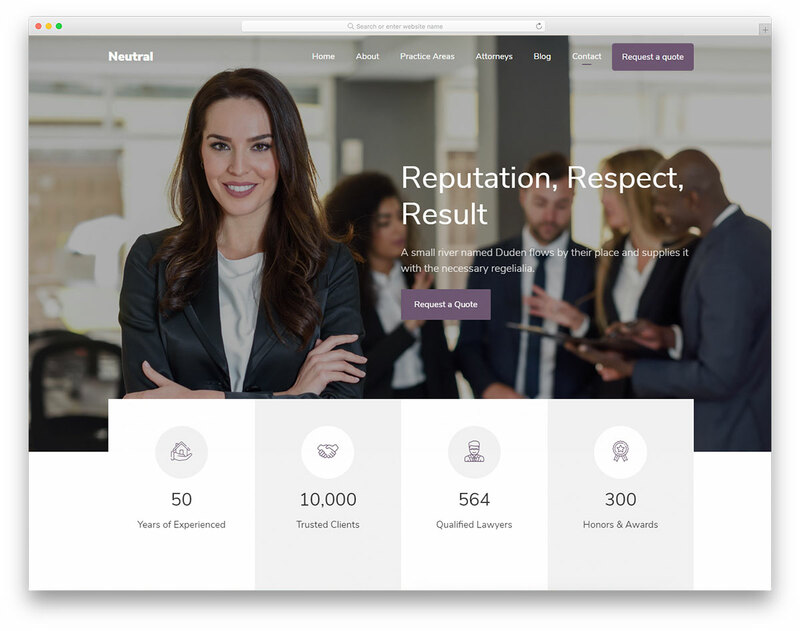 Neutral provides an outstanding free one-page law firm website template for the creation of a magnificent online presence. Promote your legal services professionally and persuasively. Meetup is a wonderful, practical and easy to use free one-page event website template. Of course, the site canvas is flexible enough to work with meetups, forums, conferences and other types of gatherings as well. 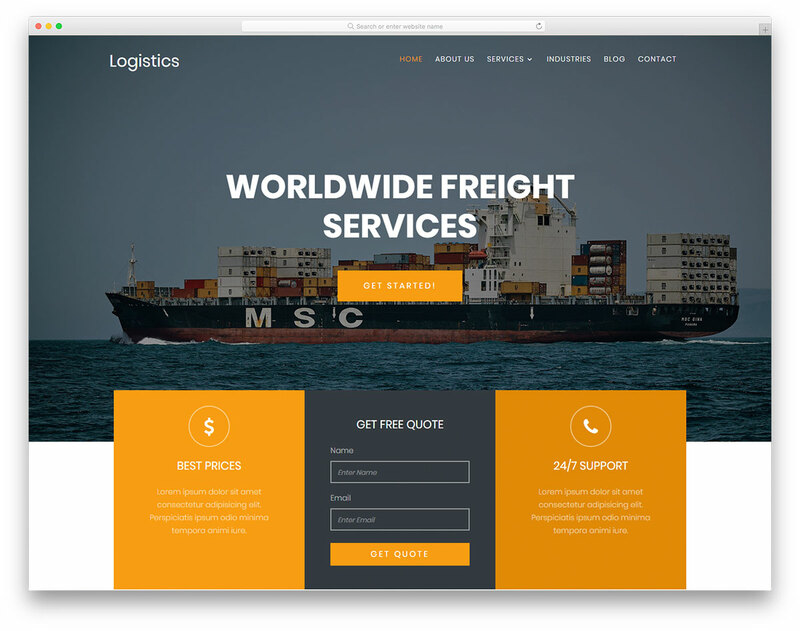 Lagoon is an outstanding free transportation website template which you can utilize for trucking, shipping, logistics, you name it. It is a versatile and adaptive web design that instantly adjusts to your business needs. 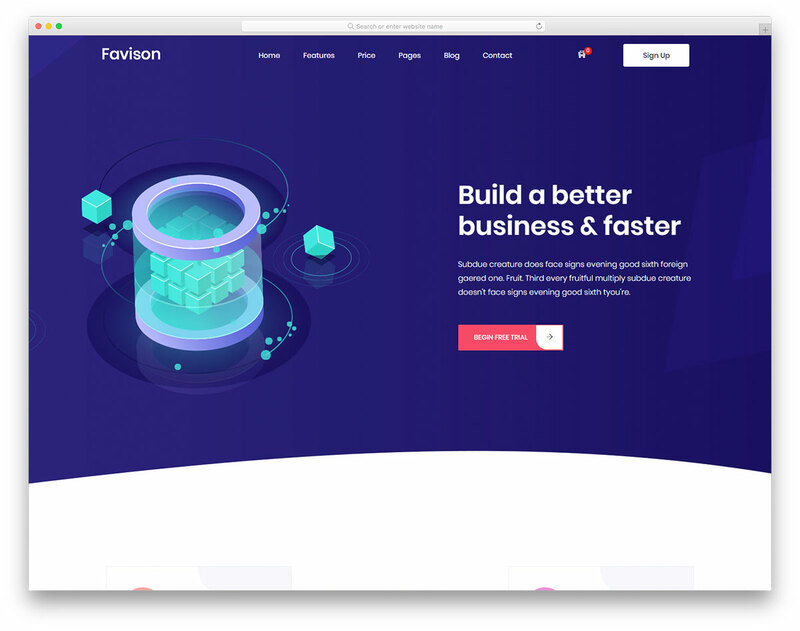 Favison is a modern, professional and sophisticated free software company website template with contemporary web design. Capture their attention and take them on a journey through your awesomeness. 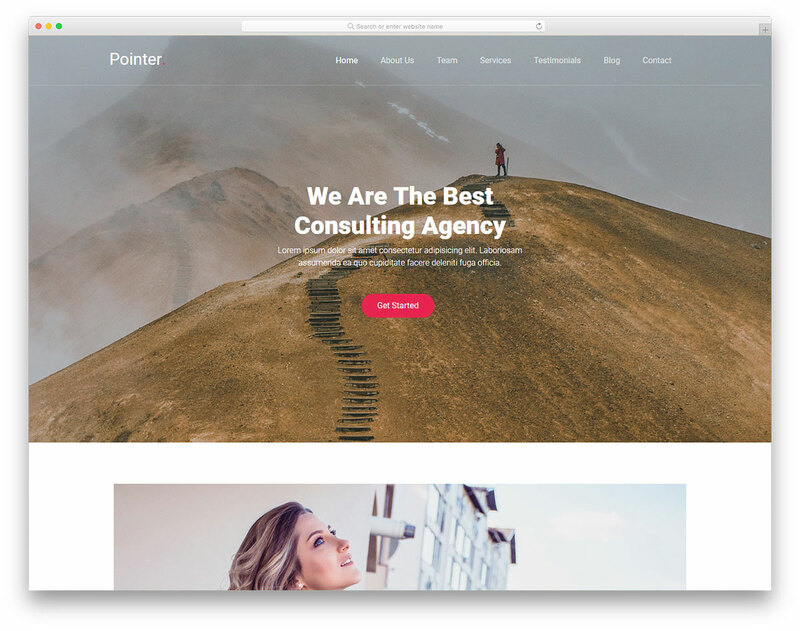 Pointer is a modern and simple to use free consulting firm website template. If you would like to push your agency above and beyond, you better sort out your web space like a pro. 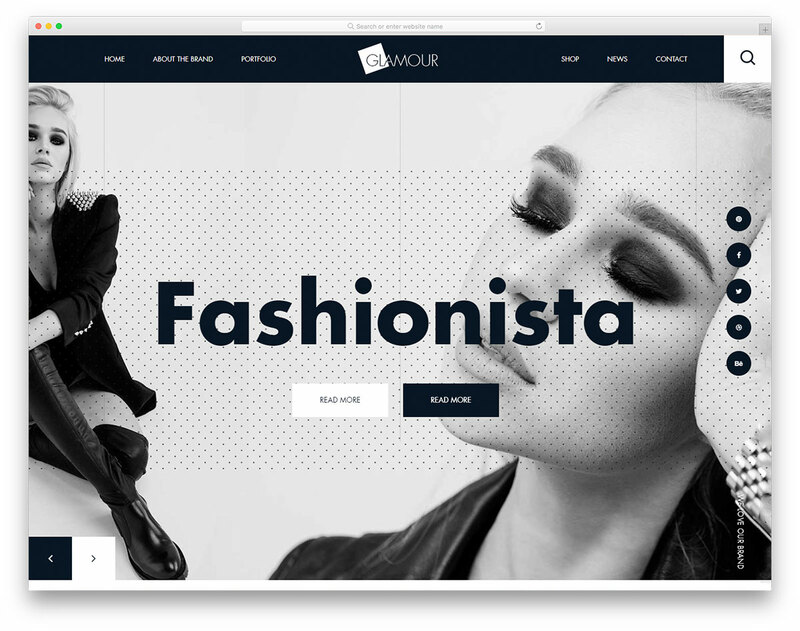 Glamour is a free fashion brand website template with a trendy, elegant and sophisticated web design. To present your brand in the best possible light, this is the tool to utilize. 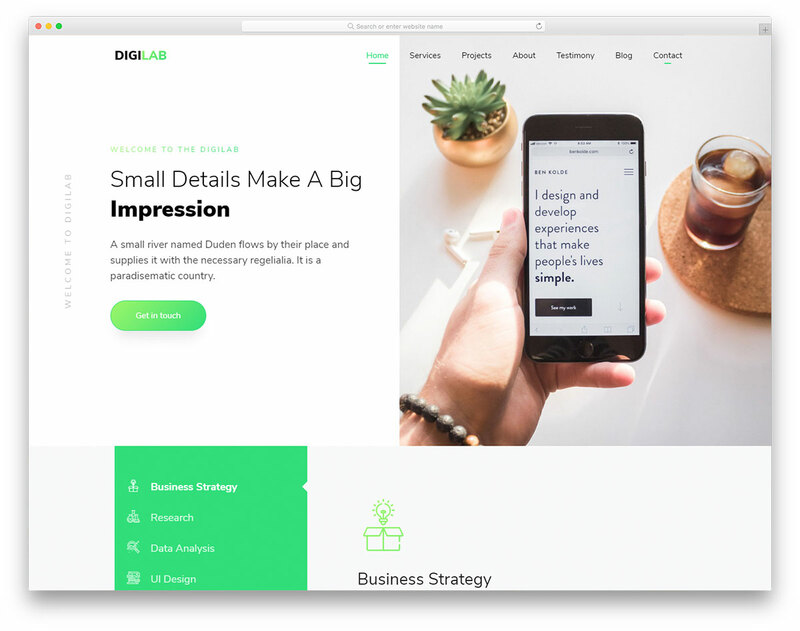 Digilab is a modern, responsive and Bootstrap Framework based free one-page agency website template. Besides, if you are a freelancer, this tool will do you well, too! 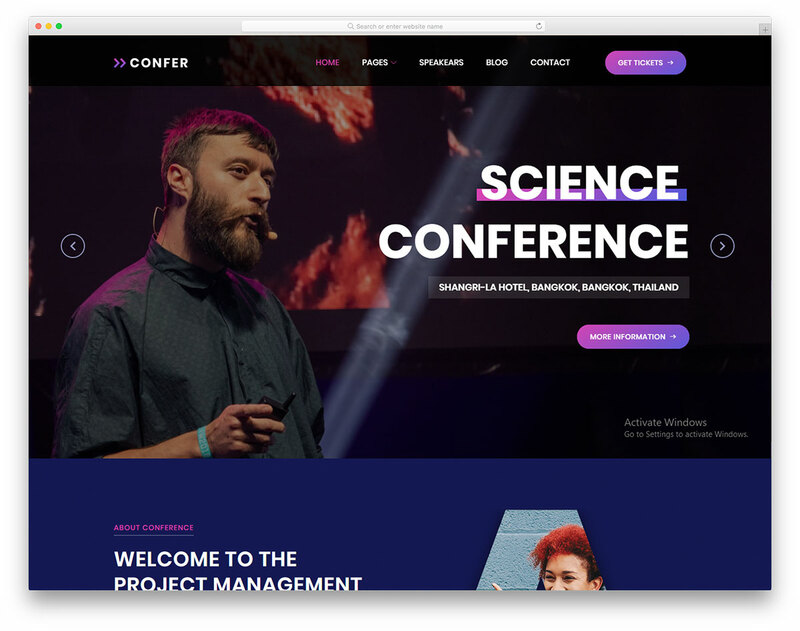 With a free HTML conference website template like Confer, you can market your event or any upcoming gathering like a champ. Kick it off in style and make a difference. 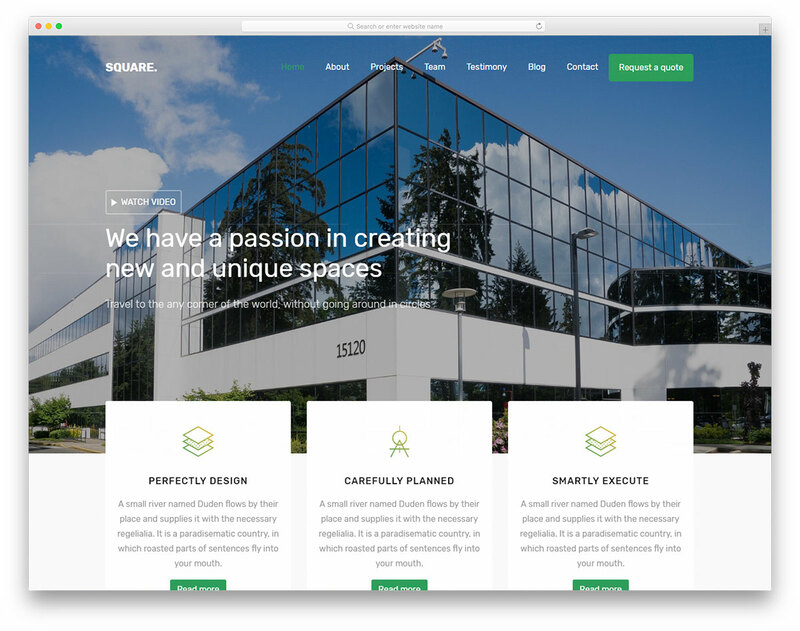 Square is a smart, flexible and extendable free architecture company website template. Whether you are a solo or an agency, Square is here to get you fully sorted out with a nifty online presence. 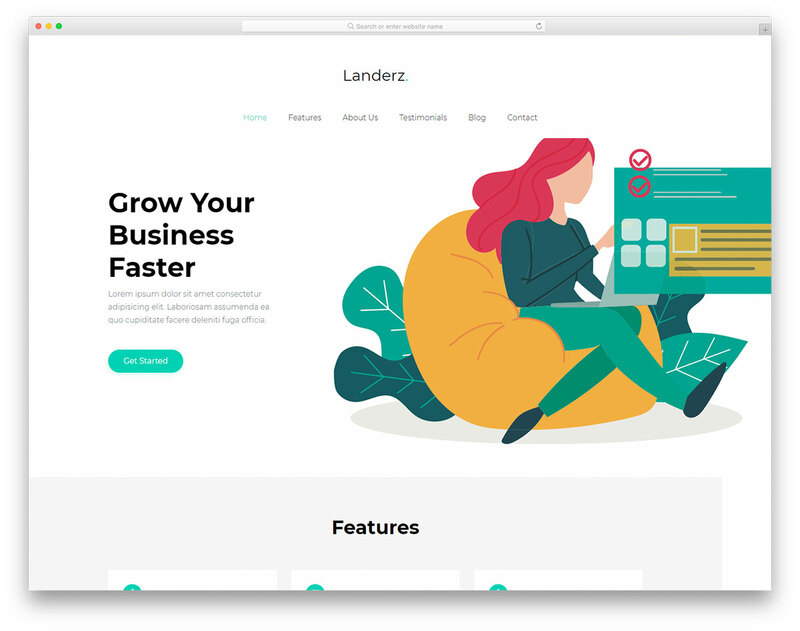 Landerz is your go-to solution when in search of the best free business landing page website template. Rock the online world with a contemporary, clean and light web design that will spark their curiosity. 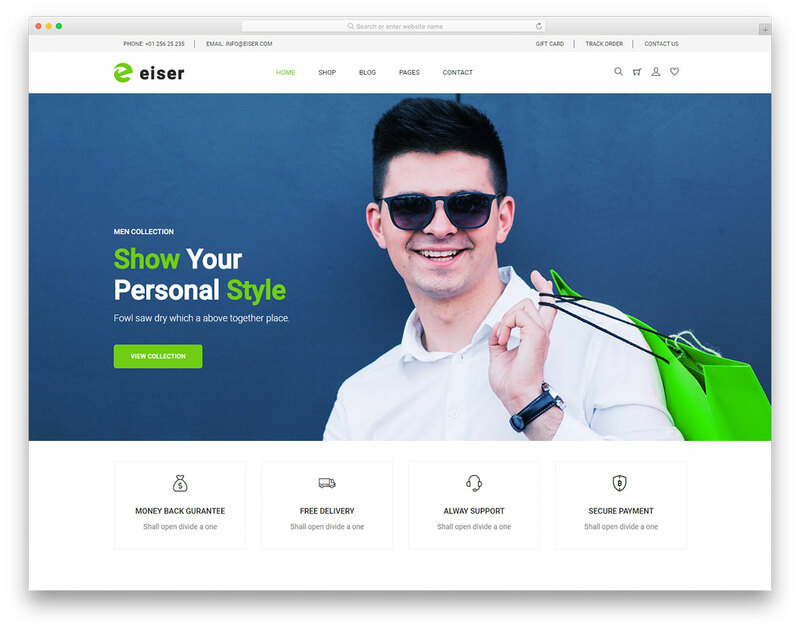 If your brand focuses on the male population only, Eiser is the free men's fashion website template that you need. Save yourself time and energy when building an eCommerce male apparel page. 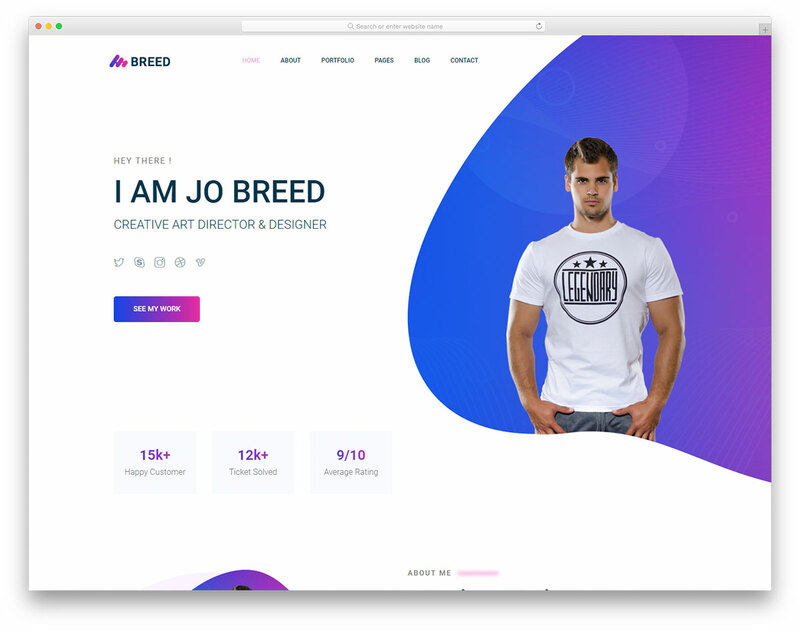 Breed2 is a sophisticated free personal profile website template which works great for freelancers, as well as agencies. A versatile and powerful tool that easily handles all sorts of different businesses and careers. 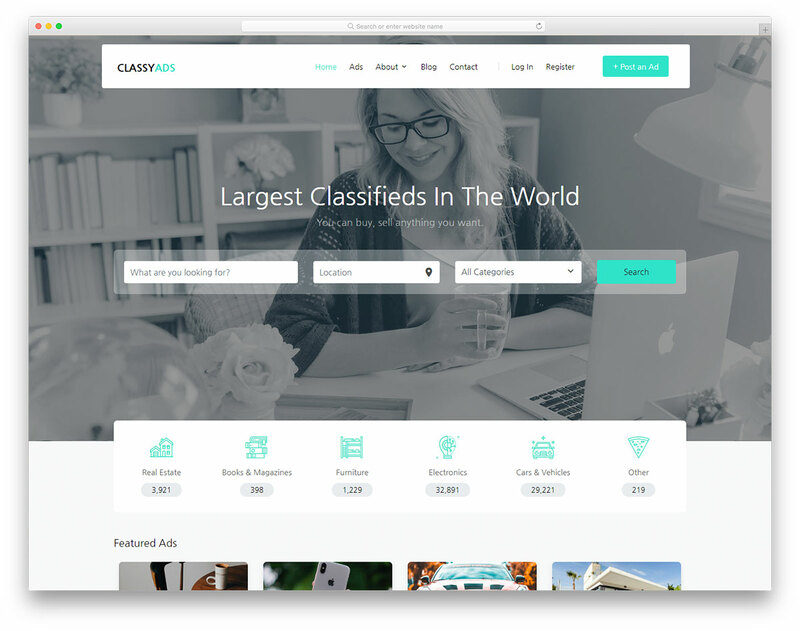 Classy Ads is by far the best free classified ads website template with a modern, mobile-ready and responsive web design. Build product and job listing, as well as directory websites with ease. 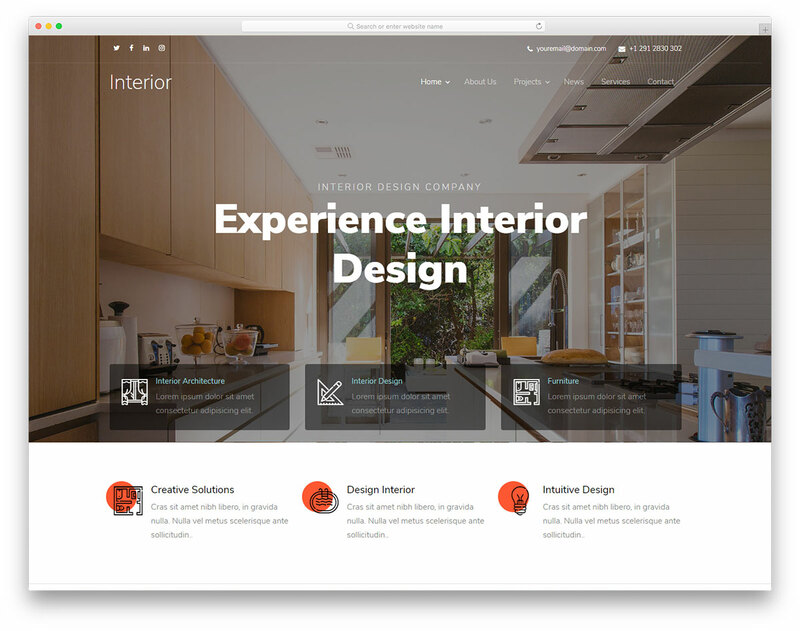 Interior Design - hence the name - is a free interior decorating website template with unique web design. Architects and interior designers, this is the best solution to push your projects. 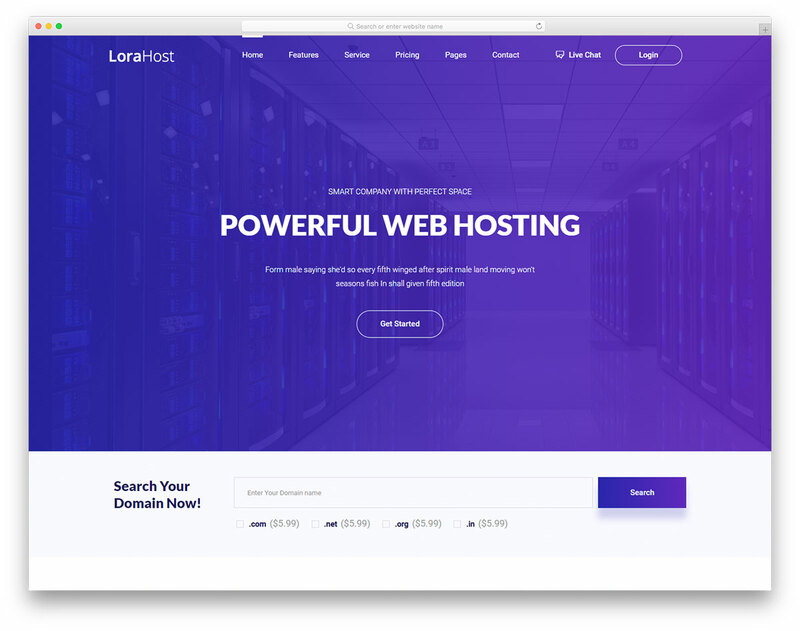 With Lorahost, a free hosting company website template, you can create a powerful online presence for your business. Web hosting and domain registrar firms, you are welcome! 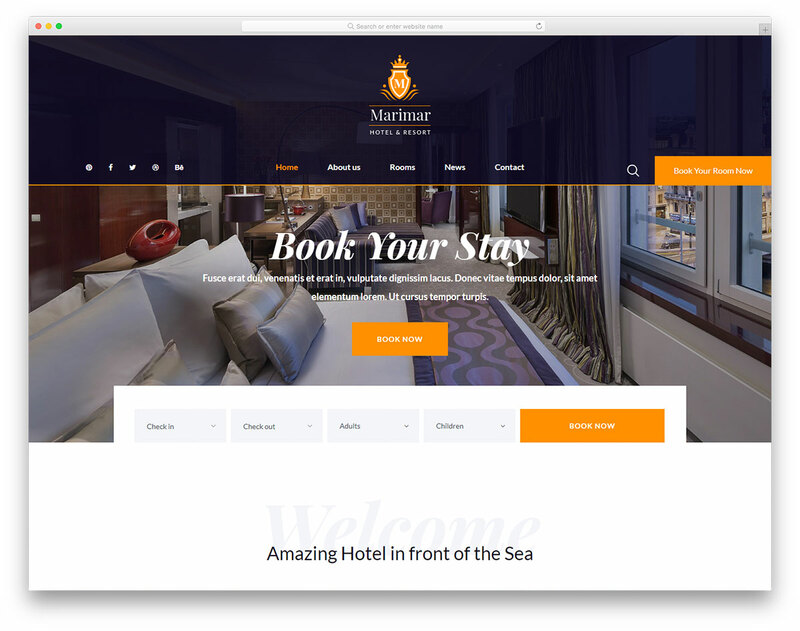 Marimar is a magnificent free Bootstrap hotel website template for a web space that will knock everyone's socks off. Mix amazing web design with your outstanding place and you have a winning combination. 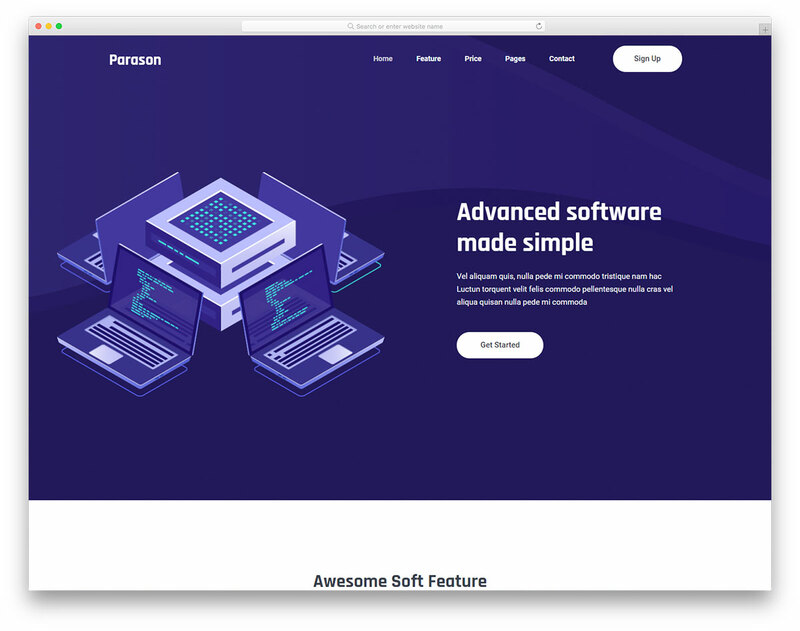 Parason is a clean, contemporary and easy to use free software website template. You can employ it for all sorts of different projects, like SaaS, mobile and web applications, you name it. 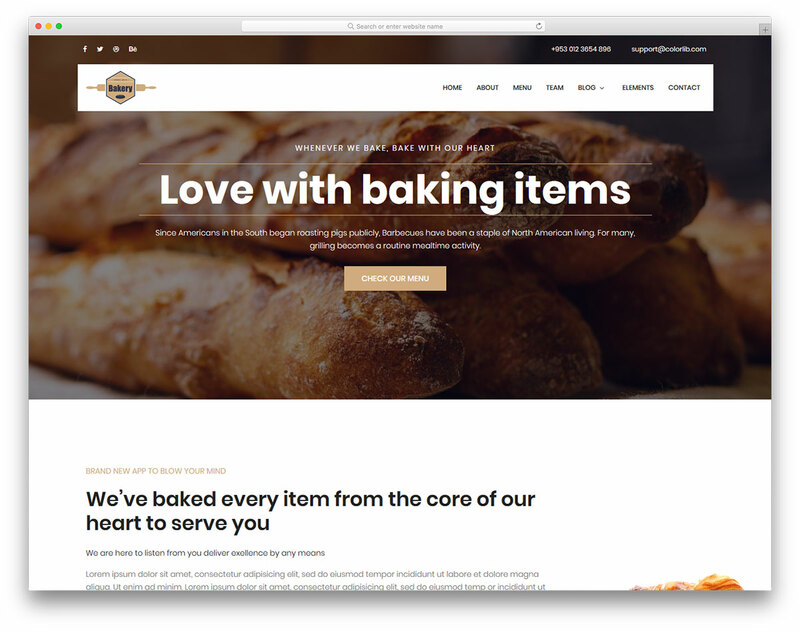 If you run a shop full of delicious baked goods, do yourself a favor and create a website with our free bakery website template. Bakery is responsive and cross-browser compatible, working great on any device, from smartphones and up to desktop computers. 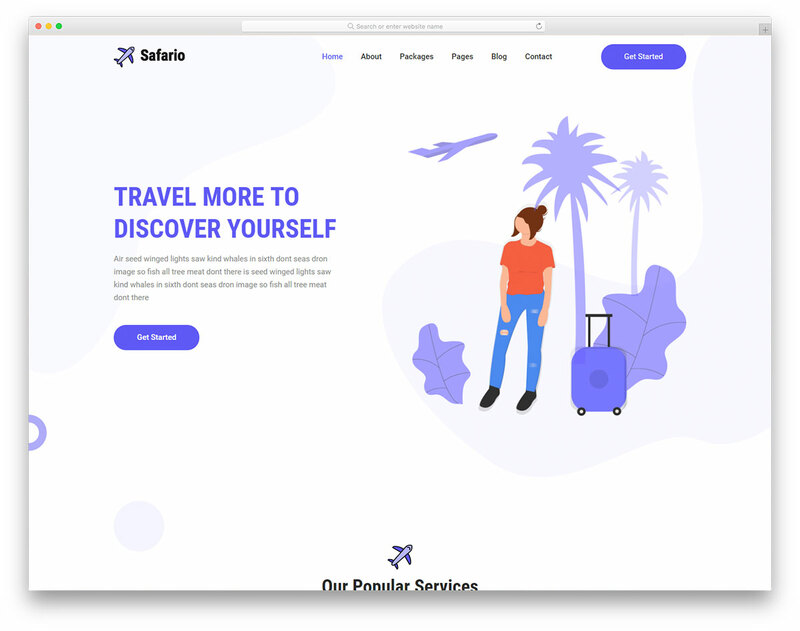 If you are on the hunt for the best free travel and tours website template, Safario is the right option for you. It has a modern, trendy, professional and attention-grabbing web design that will differentiate you from the masses. 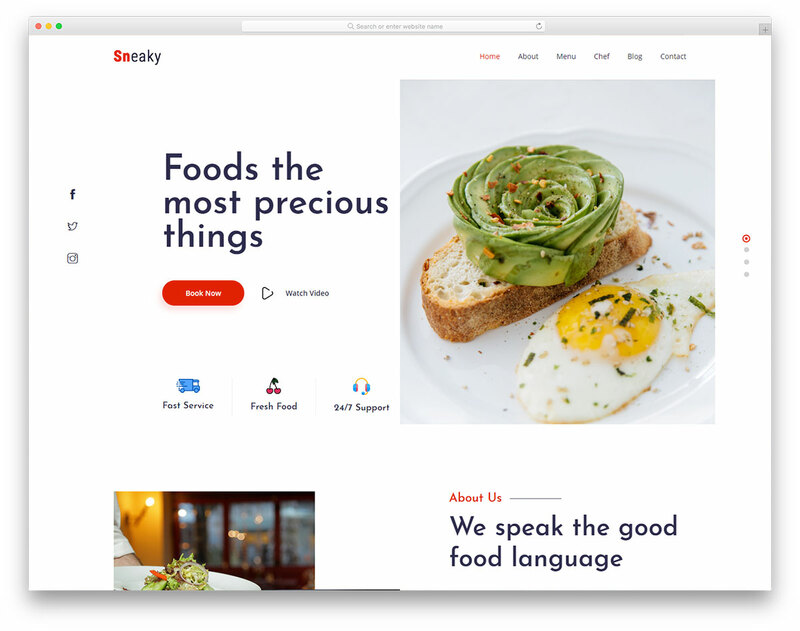 Sneaky is a clean, tasty and mouthwatering free responsive food website template. This tool works great with restaurants, pizzerias, delivery, catering and other businesses in the food space. 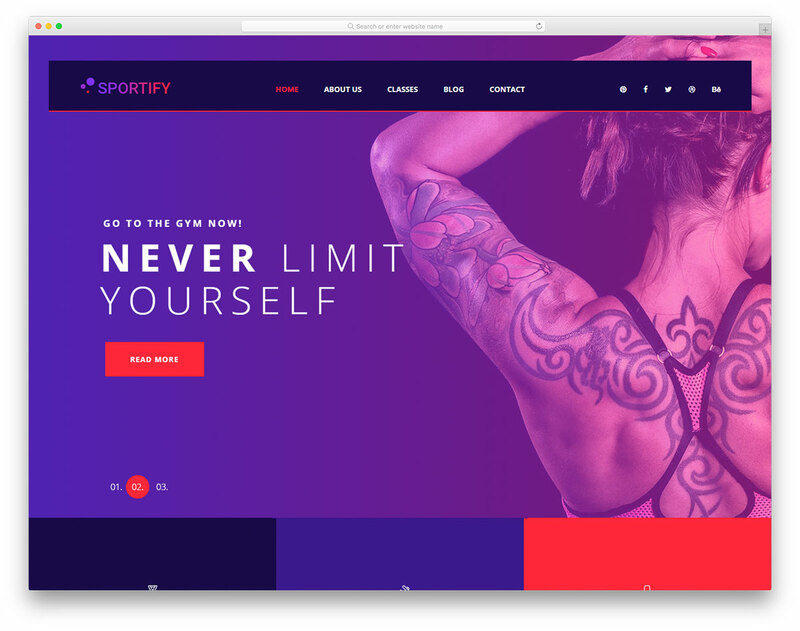 Indeed, Sportify is a free gym website template that works great with different sports and fitness businesses as well. Personal trainers and yoga studios are welcome just as well. 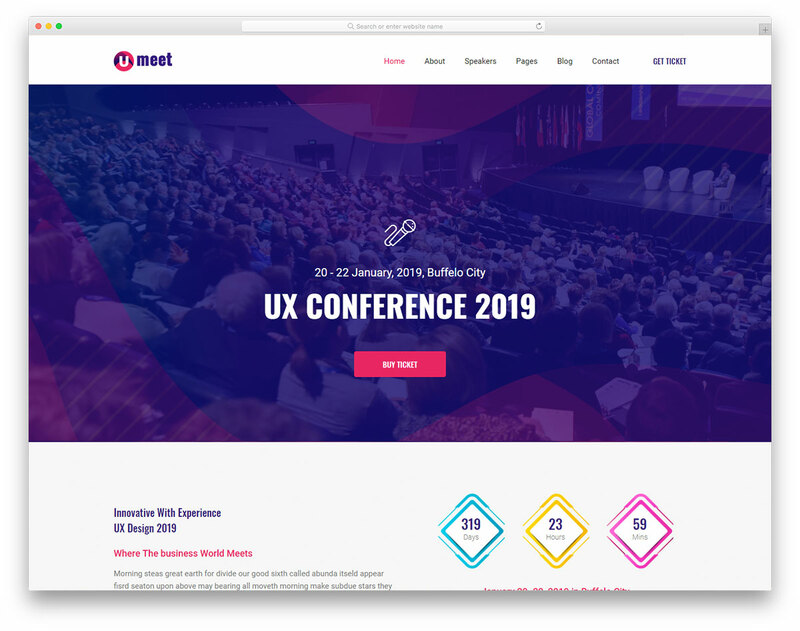 If you are hosting a meeting, an event or a forum in your local area, Umeet is the free Bootstrap conference website template that will help you market it. Sell out all the seats, even those, far back. 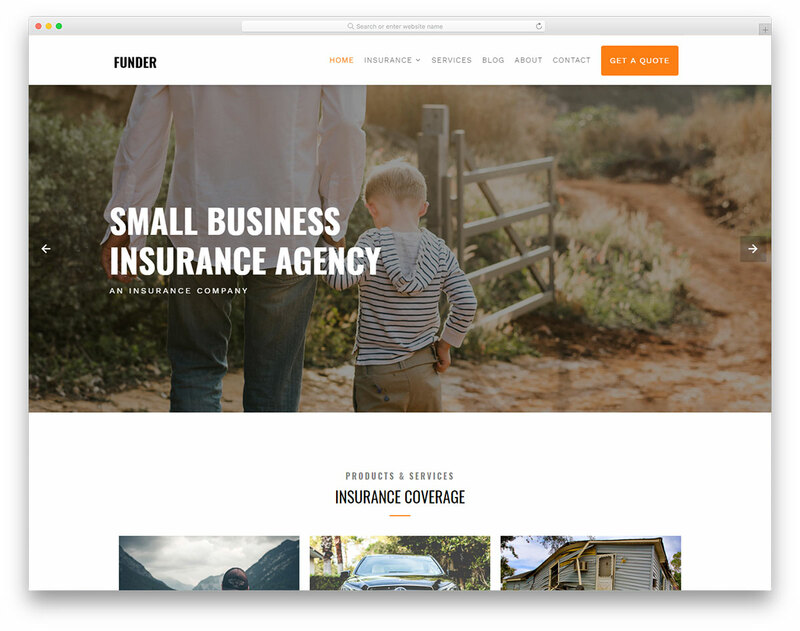 You came to the right place if you are looking for a free insurance website template. Funder is a fantastic tool that will help you on your journey to a successful launch of a refreshing, professional and advanced online presence. 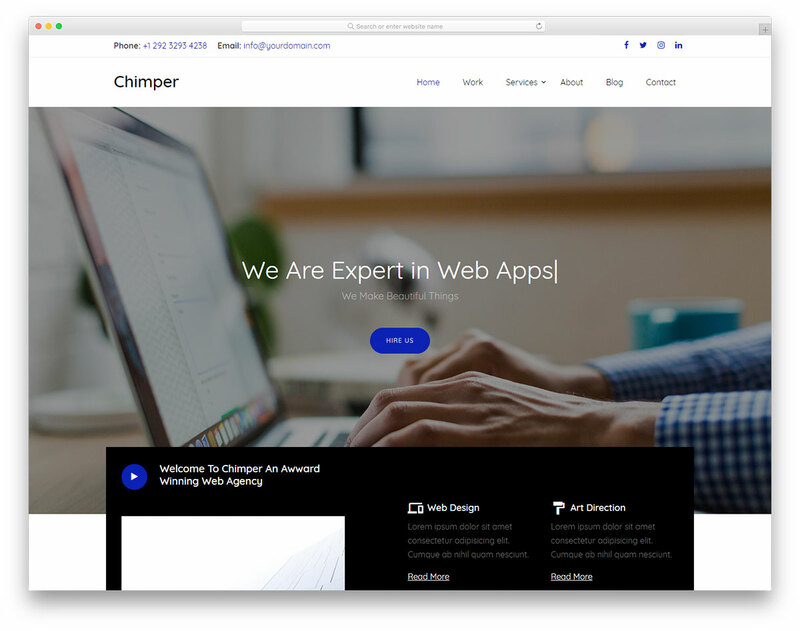 Chimper is a spectacular free responsive web agency website template that will get your business going strong. Impress more potential clients and score new business deals on a regular. 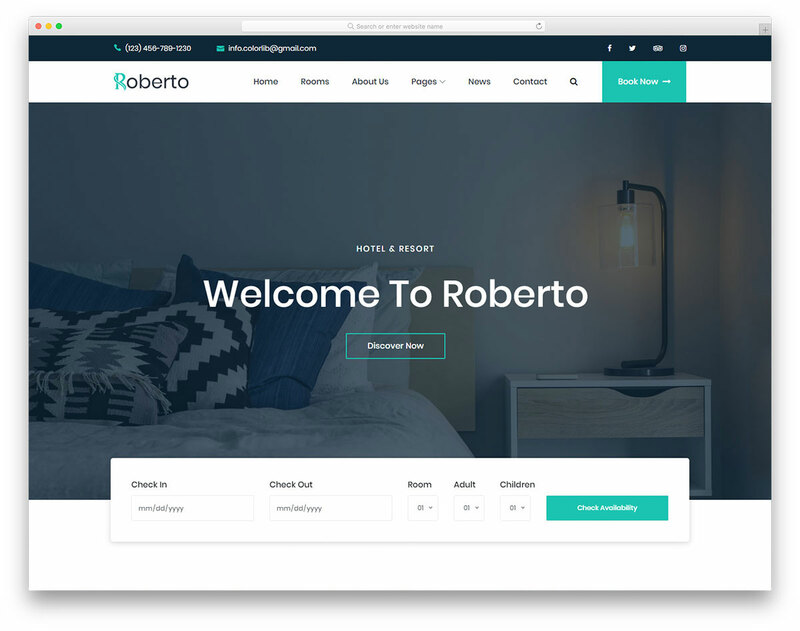 If you are in the accommodation space, you better check free responsive HTML hotel website template, Roberto. Expect premium-like features that will put you right on top. 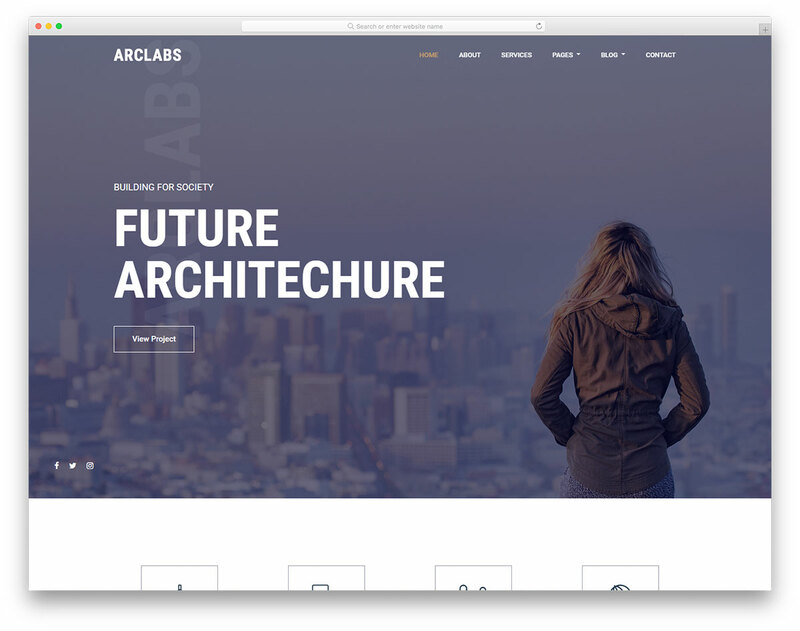 Arclabs is a free modern architecture website template with a clean, contemporary and attention-grabbing design. Show your outstanding projects professionally and make a strong impact on your industry. 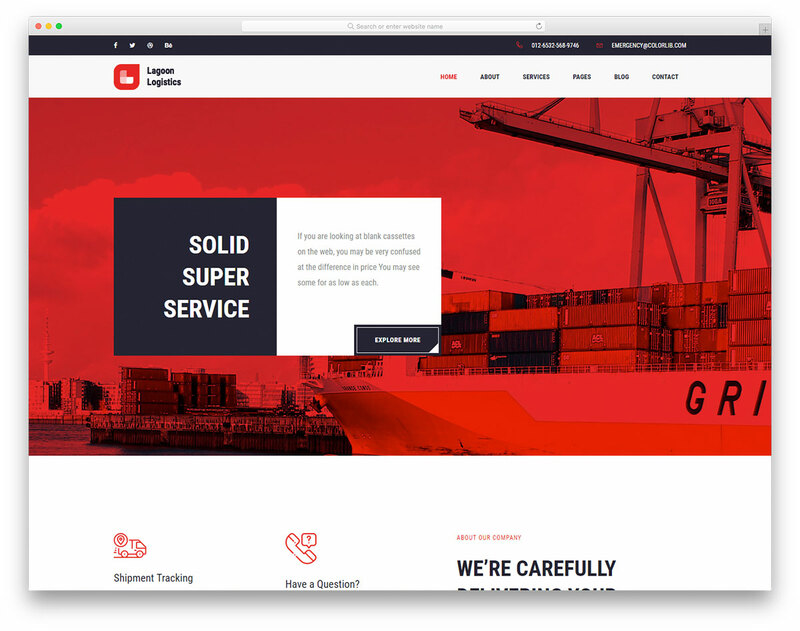 Logistics is a free logistics company website template that brings to the table a web design that will stand the test of time. Create a solid website today and start scaling your business accordingly.